This Pickers Workshop features rescued drawers. You will have the option of creating a Jewelry Organizer or Home Decor piece in this workshop taught by Miss Tracy. You can customize with paint colors of your choice. 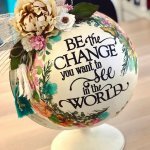 In this workshop, Miss Tracy will show you how to transform a World Globe into a gorgeous Home Decor piece. You can customize your saying a collage pieces. *You must bring your own globe of whatever size you prefer. You will create a table by repurposing an old drawer and spindle legs. 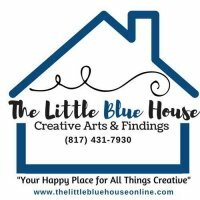 Miss Tracy will share with you how she built them and how to transform them with paint and distress techniques.